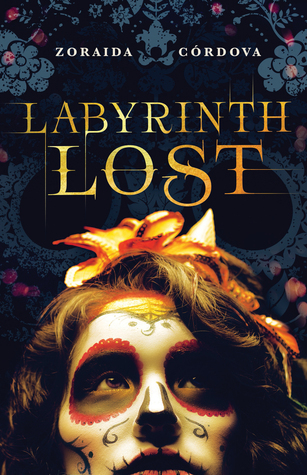 Labyrinth Lost is book one in the Brooklyn Brujas series. I immediately requested this book when I found out it has a diverse character as the leading lady. I'm a firm believer that we need more diverse books since there are readers in every race. This book revolves around a teenage girl coming into her powers as a bruja and her journey thereafter. Alejandra aka Alex is a bruja (witch) that is pretty much an everyday high school student but her family has magical powers. She's trying her hardest to ignore her magic but with her Deathday celebration coming closer, she's going to have to face the music soon. Deathday is when the family and friends come and celebrate the young bruja in their powers. Even though Alex doesn't want her magic, we find out that once she learns to wield it she'll be a super powerful bruja, they call her an Encantrix. Deciding to rely on a last ditch effort she casts a canto (spell) during her Deathday ceremony to strip her powers, but it goes horribly awry and her family is transported to Los Lagos, a place that is like limbo and Wonderland mixed together. 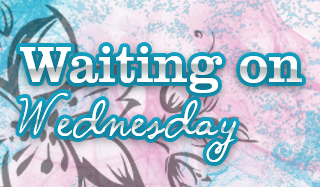 Alex and a cute boy, Nova wind up going to Los Lagos to save her family but things aren't quite what they seem. Some evil and super powerful bruja has taken control of Los Lagos and is not willing to let Alex's family go without a fight. Alex and Nova have to make their way through the twisted environment without getting caught in a trap. With twists and turns, their journey will keep you on your toes and not sure what to expect next. Labyrinth Lost was an excellent read that transports you from an urban environment to a cross between Wonderland and The Wizard of Oz. I enjoyed that though Alex didn't want her powers if she wants to save her family she has to use it to get them back safely. Her journey was interesting and she had a good support system along her adventure. If you enjoy diverse reads or YA paranormal books I strongly suggest you pick up this book. I've seen this book popping up on blog recently and it sounds really good. Everyone seems to be enjoying it. I, personally, love the cover. Enjoyed it, and yesssss the cover was what drew me initially! I so agree with you! We need more diversity in books. I just read this one and really enjoyed it as well. Sounds different in a good way. Sounds fantastic! Love the creepy cover, too! Really was, I don't read YA much anymore but so glad I got this one! Quite the cover! Glad you enjoyed it, Melissa! Looks like a fun new book. I agree that we need more diverse books. I'm glad to see more of them come out, not many but there's more than before so yay! Ive seen this one around, glad you enjoyed it and I do love that cover! Holy crap. A bruja? That's something you don't often see. And, btw, I agree regarding diverse representation. While, as a white male I don't often try to write from diverse background, I always attempt to run low on descriptors to open up the avenue for representation and relation. It seems a good way to start, personally. I can completely understand that! Depending how it's handled it could go straight to stereotyping the character due to their race and that wouldn't get very good marks from me. I do love that I'm seeing more diverse or interracial couples in books now though!